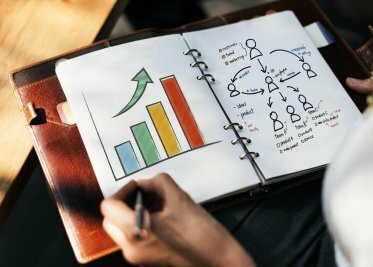 If you’ve followed the news lately, you might have noticed that cybersecurity is on the minds of millions of people across the world. 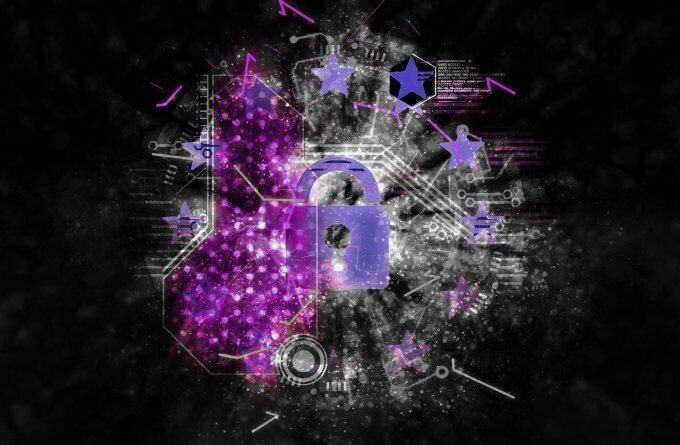 Cybersecurity isn’t just crucial for large multinational corporations anymore, and individuals should seriously consider upgrading their cybersecurity efforts to protect their data from others. Enter the VPN. VPNs were created to help users have as much security as possible while browsing the web. Even with strong passwords for all of your accounts, if you want almost 100% privacy while browsing the web and sending and receiving information, a VPN is the best choice. Today, we’re going to discuss everything that you need to know about VPNs. If you’ve been curious about VPNs and wanted to learn more, you’ve come to the right place! Let’s jump in! A Virtual Private Network (also known as a VPN) is a popular internet security method that people use when they want to keep their personal data safe from onlookers or hackers. This can include an IP address, credit card information, passwords, account information, and virtually any type of personal information that you might use online. Because of recent hacks to large data firms, consumers are realizing that nobody, not even large multinational corporations, is safe from data breaches. For this reason, internet security has continued to remain a top concern for people across the world. A VPN is essentially a private and secure digital solution that users can use when browsing the web to keep their connection private while sending and receiving information online. VPNs aren’t limited strictly to individuals, as many businesses and organizations have used private networks for years to keep their personal and customer data secure. A VPN is a virtual version of a traditional private network without the need for the infrastructure or equipment that conventional private systems demand. When you use a VPN, you are essentially creating a secure tunnel into the internet that only sends and receives data without exposing any of your own information. This is great for individuals that want optimal privacy while browsing, or if they might want to browse websites that might be blocked in their specific country. Businesses can also use a VPN to access their confidential information safely, while even browsing external sites such as social media without putting the company or customer data at risk. All of the traffic that passes through a VPN is secure. In theory, the data can’t be intercepted by outside parties. For this reason, VPNs are essentially the safest mainstream method to browse the internet privately although not all VPNs support anonymity. 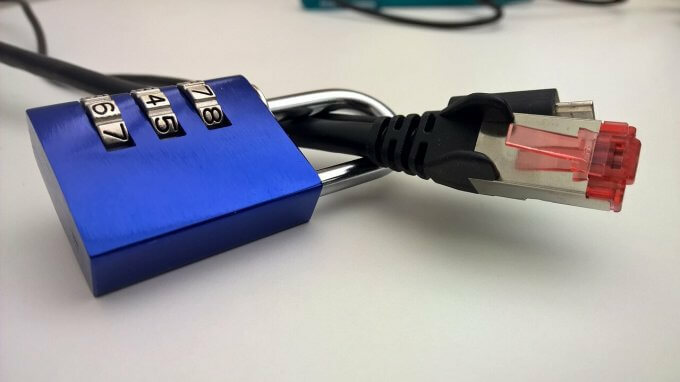 It’s important to consider that the security of your VPN is only as strong as the weakest link in the setup. For example, if your device has already fallen victim to malware, no matter how secure your VPN is, it will still be insecure. VPNs aren’t a magic tool, and to browse the web completely anonymous, and privately, you need to ensure every link in the chain is protected. By using a VPN, you can protect your connection from outside eyes such as your ISP. VPNs can prevent the ISP and government from spying on your browsing activity if set up correctly. Many people also have started to see VPNs as a tool in their efforts to practice freedom of speech in countries that might not recognize it. With a VPN, people can also avoid censorship within their office or third-party entities. Also, people can use VPNs to spoof their location. Customizing the location settings within the VPN application can do this. Many people choose to do this because their country might ban a specific streaming site like Netflix, and by using the VPN, they can stream their movies without any trouble. Businesses will use them to give employees remote access to their private network. Protecting privacy on public Wi-Fi connections. 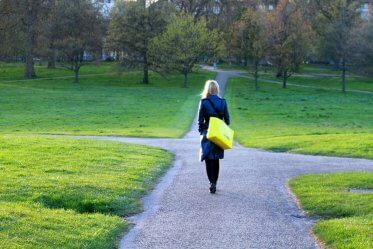 With all of this in mind, it is crucial that you keep a few things in mind. For one, while using a VPN is legal, if you use a VPN for illegal activities, those activities are still illegal. You shouldn’t misuse VPNs, and when doing illegal things with a VPN, you should still expect to attract the attention of law enforcement. VPN misuse is interpreted differently depending on your country. For example, in the United Arab Emirates, people caught misusing a VPN could face a $545,000 fine. That’s a lot of cash to give up, and abusing a VPN in this country could mean something as small as accessing a blocked site like Skype or Snapchat. Is There a Difference Between Proxies and VPNs? You might have heard about proxies before in the past. 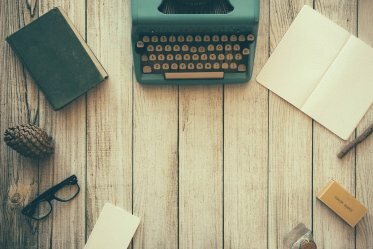 Many people think that they are essentially the same thing as VPNs; however, there are some fundamental differences to make a note of. While both services aim to protect the identity of a user or spoof a location, the similarities end there. Proxies are computing systems that function primarily as a go-between for your device and the web connection. The proxy has its own IP address, which means that data transfers can’t be traced back to your device directly. Proxies are usually used to secure a torrent client or browser while VPNs can encrypt the entirety of your internet connection. In essence, VPNs provide the most data privacy and security of the two options. Because the internet is such a crucial component of our everyday lives, it’s easy to forget about the vital data we send unprotected each day. Many people think that their information is secure because they used anti-virus software, but this shouldn’t be your end all, be all solution for privacy and security. When you browse the internet, you send tons and tons of information to remote servers. Protocols such as HTTPS already protect most of the information that you send. However, whenever you see that green padlock on a website, don’t expect that you are 100% protected and your activity is hidden unless you are already using a VPN. When you consider these facts, here are a few of the reasons that you should consider using a VPN. You wouldn’t give someone a note with your credit card number and CVV on it, would you? You wouldn’t tell a stranger your ATM PIN code, right? The fact is if either your end of the connection or the website you’re using doesn’t have encryption; you’re practically giving your critical information away to hackers. What’s more, this information doesn’t need to be financial or extremely sensitive. Even just a simple cookie could expose you and your other accounts. For example, if a hacker got a hold of a cookie from an unsecured site that contained login information for a sensitive website, you could wake up to thousands of dollars’ worth of Amazon orders in your name. Many people think that their home Wi-Fi network is practically an impenetrable fortress. The fact is that it is much easier to hack a home network than you might think. In fact, you can search online right now and read one of the hundreds of tutorials available online to hack a home network. If someone were to hack into your home network, you could expect a wide variety of problems including device hijacking and file theft. Although a VPN alone won’t protect you from everything, it can significantly increase the security of your home network. When you use a hotel Wi-Fi network, you probably feel incredibly safe and secure. After all, the door is locked with a key, and the Wi-Fi network requires a passcode to access. The only problem is that your neighbors might not be the most trustworthy. In fact, many data thieves will prey upon hotel Wi-Fi networks because many other guests think that they are safe to use the connection without any encryption. It is incredibly easy for hackers to access and collect personal data from other guests. Since they already have access to the network, all they need is a free snooping tool, and they can take all of the data that they need. Although many people don’t want to believe that we are living in a mass surveillance era, we are. There’s no avoiding that fact, but you can protect yourself from the prying eyes of the government and your ISP with a VPN. Governmental agencies like the NSA can look into your emails, web browsing activity, texts, calls, and more. It’s scary stuff, but if you’re like most and would rather have your privacy, a VPN can help. Your VPN will protect your information and identity for the most part so you can browse the web and send data in almost complete secrecy. Even if you aren’t doing anything wrong, it’s worth considering only on the principle that what you do on your devices should be your business only and nobody else’s. Now that we’ve discussed what the government is doing, you should also know that your ISP also monitors your web activity. Most, if not all, ISPs record their customers’ internet browsing history. 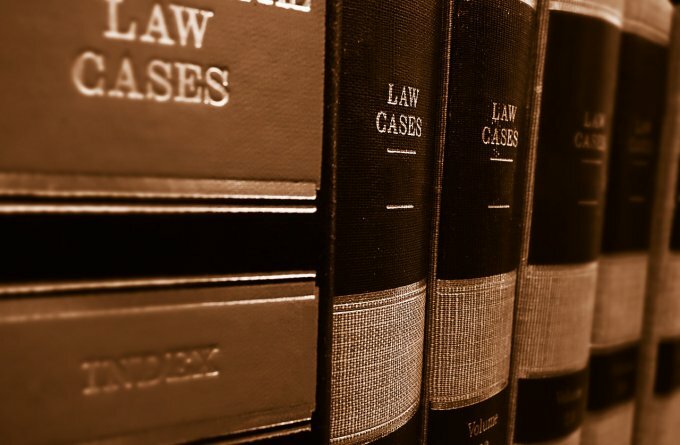 If you look at your terms of service agreement, it is probably buried somewhere amidst all of the legal jargon. While some people will be fine with this practice, others might feel like their privacy has been violated. 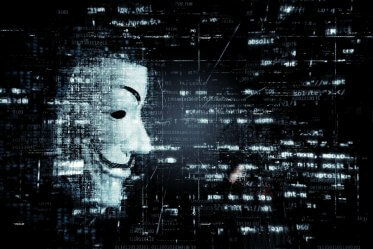 This information can even be sold to marketing agencies once it has been made anonymous. If any of this makes you uncomfortable, you should probably consider a VPN. Although it is nearly impossible to stop online advertisers from accessing your cookies, you can protect your location and keep it private with a VPN. Many people feel intruded upon when they see an advertisement for flowers with their exact location in the ad copy. By protecting your physical location with a VPN, you can put an end to these intrusive advertisements online. This feature is also handy for a variety of other reason beyond digital advertising as well. 1. Do you need it for casual browsing? Even if you aren’t incredibly concerned about the security of your internet security, you should still consider using a VPN for your casual browsing. Also while you are connected to your home network, your personal and sensitive data could again be exposed. When you use your device at a coffee shop on a public Wi-Fi connection, you are at even more risk than at home. You never know how secure and safe a connection is, so it is always best to stay on the safe side. For example, the router that you’re connected to in a hotel might use outdated or compromised firmware. This can make it incredibly vulnerable to cyber attacks and hacking, and if your device is connected to it at the time of the hack, you could end up with serious problems. What’s more, you might connect to a malicious, spoofing router. Hackers can easily spoof a router to look like the coffee shop’s router, and when people connect, they can gain full access to their information. 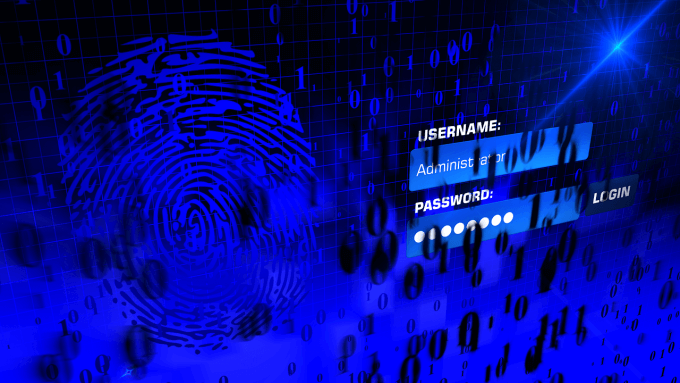 Keep in mind that even if a Wi-Fi network requires a password, it isn’t always secure. The password prevents merely people without the password from accessing it, but hackers in the same coffee shop could just as quickly get the password. 2. Will you need to geo-shift your location? Some people might want to browse the web as if they were in a different country other than their home country. There are a variety of reasons to do this, most commonly to access streaming content in a different country. For example, if you wanted to watch the BBC coverage of the Winter Olympics but lived in South America, you would need to geo-shift your location. A VPN makes this process incredibly easy, and most of the most prominent VPN providers offer this feature. Merely look for providers that have exit nodes correlating to your chosen country. From there you can browse the web as if you had an IP address in the country. 3. Will you need secure access to your home network? If you want to use a VPN to access your home network remotely, you should look elsewhere. VPNs will allow you to remotely access networks and nodes in other countries, but connecting to your own home network is much different. 4. Are you seeking anonymity or plausible deniability? If you intend to use a VPN for more high-security purposes beyond streaming Netflix from a different country or protecting your data from snoopers in the coffee shop, you might need higher firepower. VPNs will provide you with anonymity, but they aren’t perfect, and can’t guarantee it 100%. There aren’t many tools available that can promise anonymity 100%, but options like Tor might be a better selection. Many users choose to rely on VPNs to provide themselves with plausible deniability whenever doing illegal things like pirating content online. With a VPN, you can make your web traffic appear like it is coming from a different IP address. Because of this, it adds one more layer of protection to obscure your identity. If you want to use a VPN for these reasons, you need to choose a VPN provider that doesn’t keep logs with a large user base to help you blend in. 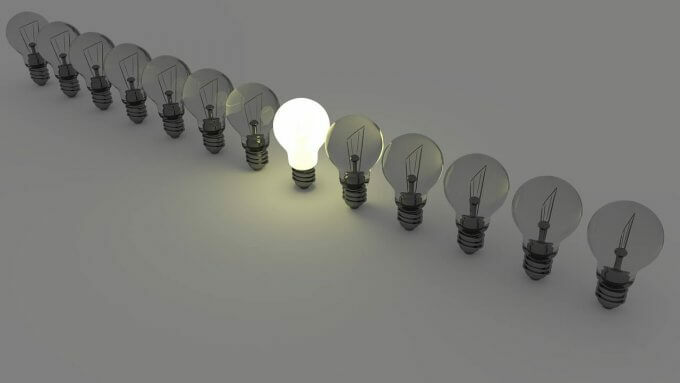 The more users there are, the harder it is for anyone to single out one individual user from the crowd. Also, beyond simple logging concerns, you should be concerned about the type of protocol and encryption that the VPN uses. In the next section, we’ll provide more detail on why these factors are a concern and the basics of understanding them. Let’s take a look at a few of the critical factors that you should look for as you compare and contrast different VPN service providers whether the service is free or not. Despite what you might think, the protocols that a VPN uses makes a difference. Not all of the protocols are created equal, and if you want to achieve the highest level of security from your VPN with the lowest operating cost, you need to go with OpenVPN. As far as the protocols that you should avoid, we would recommend that you skip PPTP if you can. This protocol uses very outdated processes with weak encryption capabilities. Also, due to the security issues it has faced in the past, you should file it under the compromised column. Although PPTP can be a good option if you only want to secure your non-essential web browsing activity at a coffee shop or hotel, you shouldn’t rely on it for serious security. Another common protocol is L2PT/IPsec, which improves upon many of the deficiencies of PPTP; however, it lacks speed compared to OpenVPN. Overall, OpenVPN is the best choice for the best security and privacy. Because it’s the best available, you don’t have many reasons to accept any solution until a newer and better protocol comes around. Even so, there is one reason that you might want to use L2TP/IPsec as opposed to OpenVPN. If you want a VPN to use on your mobile device, you currently don’t have the option to use OpenVPN. Whether you use an iPhone or Android device, the best VPN choice you have is L2TP/IPsec, which is a relatively stable and robust alternative to OpenVPN. When you look at the list of VPNs in this article and compare others on your own, pay attention to the protocols that they use. Any reputable VPN will offer all of the options mentioned above and even provide users with documentation that will tell you to avoid PPTP for the same reasons we listed. You should look for the pre-shared keys they also use to avoid choosing a VPN that uses insecure keys. When selecting the best VPN service to use, you should always choose one with hundreds if not thousands of servers. This helps to not only hide your activity even further, but it will also ensure that the system is faster and more reliable. The location of the nodes of your chosen VPN service matters a great deal. For instance, if you wanted to watch UK-based streams, but all of the nodes for the VPN are located in South America, you’ll be out of luck with geo-blocking. When selecting the best VPN service to use, you should always choose one that has a large variety of servers spread out across the globe. This gives you more options for your browsing. If you’ve ever dealt with slower than average speeds from your ISP, then you are no stranger to throttling. ISPs do this all of the time, and it is one of the many reasons that people choose to turn to VPNs. Unfortunately, this problem carries over into the VPN world as well. The sad fact is that if you want to learn more about a VPN’s throttling policy, you’ll have to do some digging on Google since most don’t disclose it clearly. Although many people might not see bandwidth restrictions as a deal breaker, if you plan to do any streaming with your VPN, it is going to take a severe effect on your experience. We recommend that you avoid any VPN service that restricts your bandwidth unless the restrictions are incredibly high. Sometimes VPNs will set high bandwidth restrictions to deter people from abusing the service, although everyday users shouldn’t ever run into a problem. On that same thought, if you’re looking at a paid VPN and they have a bandwidth limit, you should avoid it unless you plan only to use the VPN for occasional browsing. You should be fine going with a VPN that has a bandwidth limit of a few TBs, but unlimited should be your ideal outcome. To close out this point, we highly recommend that you always look at the fine print of the service. 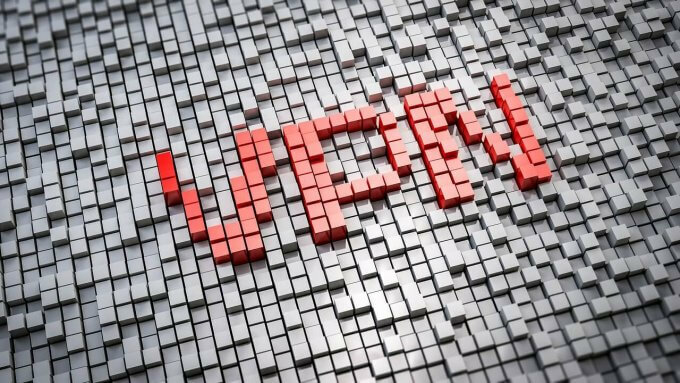 Some VPNs might restrict protocol types or eliminate the features that you really want in your chosen VPN. While back a decade or two ago VPNs had a variety of restrictions, in the modern era you should expect to find many that will have a no limits approach to the services they offer. Many people seek a VPN thinking that they only need one connection at one time. There are many reasons, however, that ordinary people would need multiple concurrent connections with their VPN service. For instance, if you plan to use two or more devices at a time, you’ll need expandability. Also, if you want to create maximum security for your home network, you will need multiple exit nodes to make sure that all of the data leaving your home isn’t bundled together in an excellent package for hackers. We often recommend that at a minimum, you should choose a VPN that allows at least two concurrent connections at once. This way, you’ll have more flexibility should you decide to let another household member use the VPN for their internet browsing. What happens if your VPN provider all of the sudden experiences service issues? Well, without a kill-switch system, your data from the previous browsing session will be exposed to the rest of the open internet. When choosing a VPN, make sure that they have a kill-switch system. This essentially shuts the door on the internet if the VPN were to go down. This helps to protect your data and ensure continuous anonymity as you browse the web with your VPN. Now that we’ve covered practically everything that there is to know about VPN services, you’re probably more than ready to see our list of recommendations. Wait no longer! These are the top 10 paid VPNs that we would recommend for most people. As you look at each one, consider your personal needs so you can make the best decision. Don’t feel like paying? Keep scrolling for our top 10 list of FREE VPNs available. ExpressVPN has 145 locations spread out across the world in 94 countries. They also offer an excellent range of customized clients for you to use including ones that work on mobile and desktop. When you choose them, you get access to the native clients for Windows, Mac, Linux, and iOS and Android. The benefits of this VPN don’t stop there, however. Also, you can also add routers, use VPN browser extensions and DNS content unblocking on a wide range of devices including Smart TVs. 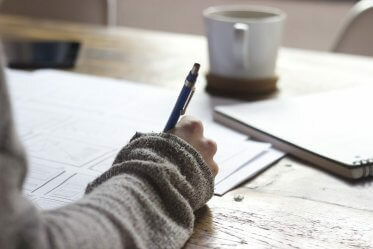 There are also loads of online tutorials available online to help you get started and answer any questions you may have. The website also has a live chat option so you can talk with a representative should you ever run into any issues or problems. With this service, you also get P2P support, high-performance levels, and a kill switch to protect your data. 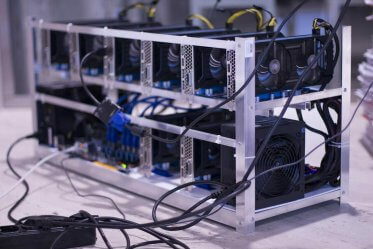 The only downsides that we found were the limitations in the simultaneous connections they allow per user. Right now, you can only have three connections at once. This will probably work for most users; however, if you’re an advanced user, you might need a more robust option. You can’t try the VPN for free; however, they do have an outstanding 30-day money back guarantee. VyprVPN is based in Switzerland, a country with favorable privacy laws. The service is very specified and offers users 73 server locations around the world with unlimited data usage, which is a nice benefit for heavy users. Also, when you choose this service, you can also enjoy great features such as auto-connect options, a kill switch system, and bolstered security thanks to the firm’s unique Chameleon protocol. They do maintain some logs, however, so keep that in mind. The VPN also provides an extensive selection of clients for users, and the Windows platform for the VPN is exceptionally user-friendly. The best news about this VPN is that it is incredibly speedy. One point that is worth mentioning is the fact that VyprVPN does not offer refunds for users. Although they do provide new users with a free three-day trial so you can test it out to see if it’s what you want to use in the long run before you pay. You can choose to either subscribe to the VPN either monthly or annually, depending on your preference. IPVanish puts service quality above all else. 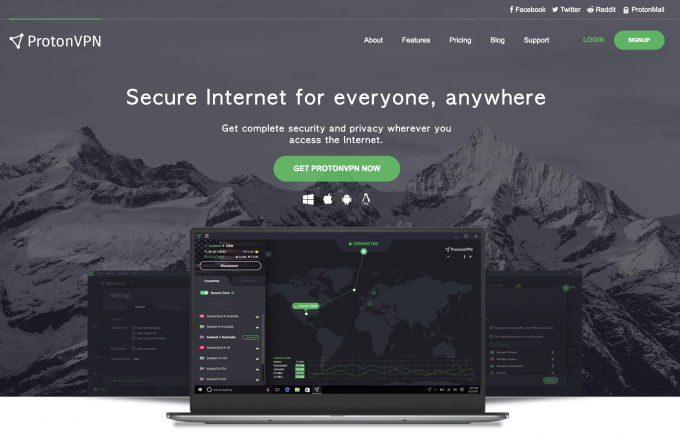 While other VPNs might try to wow customers with cheap commercial prices and free services, IPVanish knows that the real reason that customers choose them over different VPNs is because it offers 40,000+ shared IP addresses, over 1000 VPN servers, unlimited P2P traffic, a no logs policy, and the ability for users to have five simultaneous connections. All of these impressive features come at a cost, however, and it might scare off a few of you. Even so, the high speeds, choice of locations, and other features make it a worthy investment. You can try it for free for seven days, and if you absolutely hate it, you can get every single penny back. This is a Canadian-based VPN that is noteworthy for the ease of use for the user. When you subscribe to this VPN, you’ll have access to a wide range of clients that cover both desktop and mobile. The best part about this VPN is how easy to understand the platform is. You don’t need to be a computer whiz to know how to use this VPN, and it’s built with the ordinary user in mind. While this is a huge benefit for some, if you’re a more advanced user that likes technical jargon, you might want to consider a different option for your VPN. TunnelBear provides users with servers spread out across 20+ countries across the world. You can also use five simultaneous connections, which is a great feature. Also, this VPN emphasizes privacy strongly and goes above and beyond to explain each of its policies to users in a simple way, so you know what you’re signing up for. If you’re using this VPN for short distances like to the United States, the speed is impressive. If you’re going further than that, you might notice a decrease in speed; however, this is typical among most VPNs. They offer a free version of the VPN, which limits users to only 500MB of traffic each month. You can purchase a paid plan for only $4.16 per month with unlimited data. If you’re using a long distance connection, expect your speed to slow down. Although NordVPN is based in Central America, many of their products can compete with some of the tech heavyweights found in places like Silicon Valley. When you choose this VPN, you get access to over 3,500 servers in 60+ countries. You also can enjoy 2048-bit encryption, which is excellent for optimal security and privacy. The system allows for six devices along with a secure DNS leak protection system. A kill switch is included when you subscribe, and the service also includes dedicated extensions for Chrome and Firefox. Also worth mentioning is the SmartPlay feature. This tool allows users to get around geographical restrictions to unblock a wide variety of streaming services they might not find in their home country. 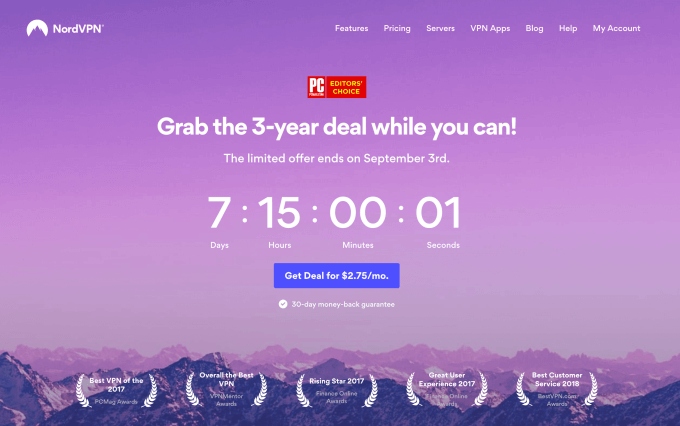 There are four service packages available for users to choose: Monthly, one year plan, two-year plan, and the three-year special offer they’re running as of this writing. You can try the service for free for three days although you’ll have to dig through the website to find the offer. Although they offer a free trial, you need to search for it on the website. This is another VPN that emphasizes quality services and tools for customers. Windscribe has a native app available for Windows, Mac, and iOS, along with an additional client recently launched to support Android. When you subscribe to this VPN, you will discover a wide range of browser add-ons also. 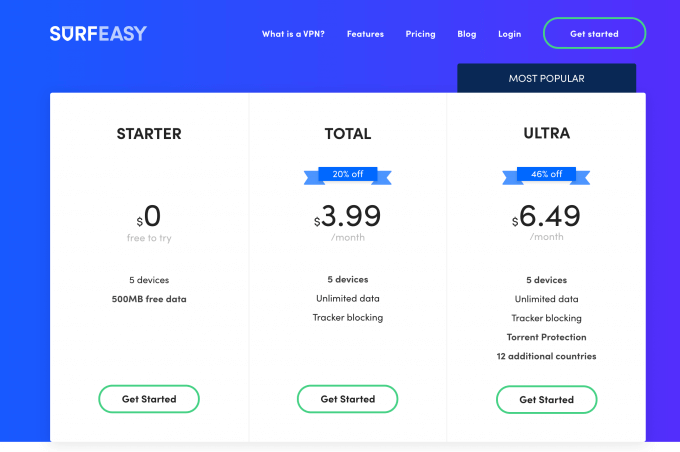 The main reason that many people choose this VPN over others is the fact that the commercial plan allows for unlimited connections. This means that no matter how many family members want to use this service, you’ll never run out of the room. They do offer a free plan with 10GB of wiggle room in monthly data. With the free plan, you can only use one device, however. They also limit the amount of data that you can download as well. When you choose the Pro plan, you’ll receive unlimited data as well as unlimited devices too. Subscribe either monthly or annually. Speed left much to be desired. 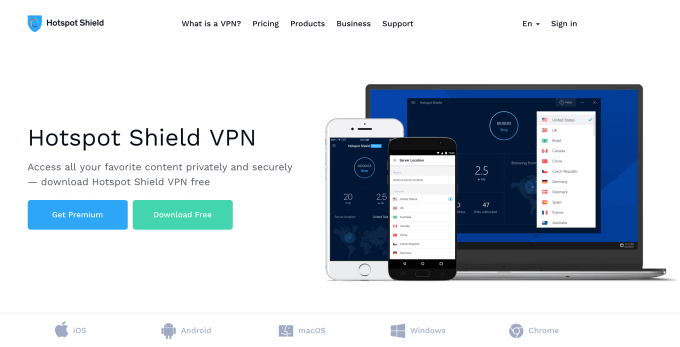 KeepSolid is a VPN with impressive speeds and performance levels that are comparable to downloading data without a VPN. When you choose this VPN, you’ll have access to a wide range of different clients including ones for Windows, Mac, iOS, Android, Linux, and more. They also include handy setup instructions if you want to use the VPN on different devices. Keep in mind that this VPN does not offer support for torrents on most of its servers. If you’re a file sharer, you should probably look at a different VPN on this list. Another thing to point out is that this VPN doesn’t offer the ultimate privacy for users, This service includes some logging, including session logging, and there have been DNS leaks in the past. The service offers users a free seven-day trial along with a money back guarantee. 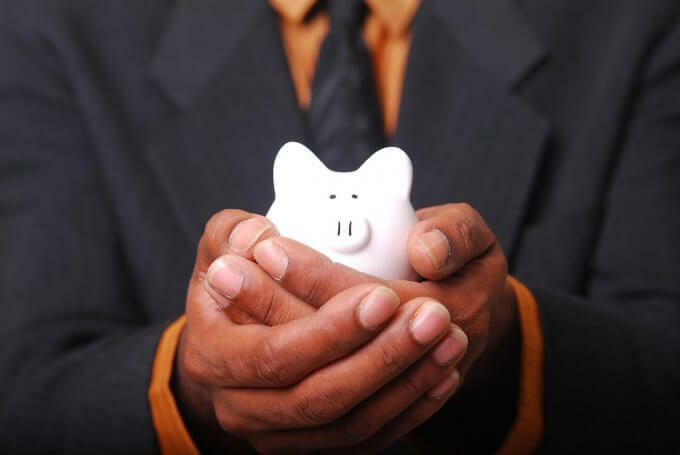 You have three pricing plans to choose from including a lifetime option. If you plan to stick with this VPN over the long run, you can save tons of money by selecting the lifetime plan. This is the best choice if you want a feature-packed VPN but have a limited budget. With this VPN, you can enjoy private browsing, support for five devices, and more. This option performs well, and in our tests, we found that it only showed marginal latency increases. As far as the custom options go, if you are an advanced user, you might want to see more configurable options with this VPN. With that in mind, the speed and low prices make it an appealing choice for most users. If you want the best value for your money, you should choose the annual subscription. 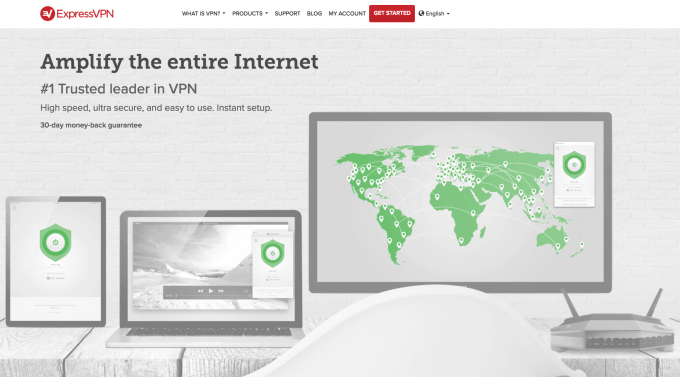 You can also commit to a lifetime plan if you decide to use this VPN for the long run. It’s worth noting here that many users report that when trying to access the free version of the VPN, they are instead redirected to partner sites. This might be an issue for some. Few server locations compared to others on this list. ZenMate is a VPN that appeals mostly to beginners and avoids any of the technical jargon that more advanced users would appreciate. This same appeal to novices carries over to the design of the software with an intuitive design that most people will understand without much technical experience. The Windows client is straightforward to use, and all you need to do to get started is click a few buttons. If you are an expert and need a fully customizable VPN, you might want to consider a different option. For example, with this VPN, you can’t select your own desired security protocol, and you’re stuck with L2TP. You can’t specify the city your server is in either, and can only choose the country. If you are okay with these limitations in customization, then this VPN is an excellent choice for anyone that is new to the world of VPNs. Included with your subscription is a 14-day guarantee that promises to return every penny if you aren’t happy with the service. There is also a free version of the VPN that uses browser add-ons. 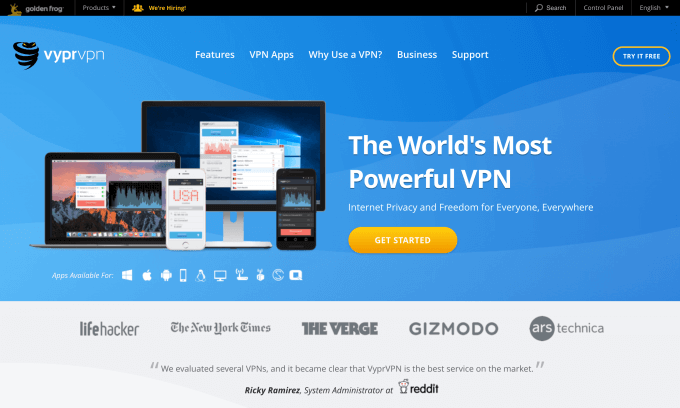 This final entry on the list of best-paid VPNs is CyberGhost, This VPN is based in Romania and Germany and has a user base in excess of 10 million. There are tons of diverse clients for users to choose from and is supported by Windows and Mac natively along with support from iOS and Android. Because there are so many clients available, some are undoubtedly better than others regarding their interface and usability. Some of the best are really great, however. There are also cool options available for users as well. For example, you can set the VPN to start up whenever you open up a specific application. If you are a file sharer and use P2P file sharing frequently, you’ll like this VPN. Torrents are fully supported with this option, and the performance is relatively speedy. There is a free plan available for this service so you can try the VPN out before you pay for it. Keep in mind that the free plan is limited in some areas such as only allowing one device at a time, slower speeds, and advertisements. Even with the free plan, this VPN doesn’t limit your data usage, which is a nice touch. If you do choose to go with the paid version of the VPN, you can rest assured knowing that the guarantee will refund all of your money should you not fall in love with the service. The interface can feel clunky for some users. Now that we’ve covered the 10 best VPN service providers out there you might be wondering: What’s the difference between free and paid VPNs? It’s an honest question, and if you’re going to spend your money on something like a VPN, you want to know that it is worth the investment. After all, if there is a version of a VPN available for free, why should you spend your hard-earned money on the paid version? When it comes down to it, a free VPN will typically much of the same features as the premium counterparts. If you’re on a budget, a free version might be the best selection for you. It is also a good choice if you only want to try a VPN out as a one-time thing. With this in mind, even though free VPNs will typically provide increased privacy, security, and anonymity, premium VPNs offer much more. The main reason that people choose to use premium VPN over a free version is the lack of capabilities and restrictions that free versions impose. For example, when you use a free VPN service, typically you are limited in the number of devices you can connect at one time, the data you are allotted each month, and more. There is also a lack of tech support with free VPNs compared to the paid versions. Because of all of these reasons, you might find that most top 10 VPN lists rarely mention free VPNs. With that being said, many of the best VPNs available offer free trials or money back guarantees for users which is a nifty loophole. With this in mind, many of the free VPNs featured on the following list are free versions of premium VPNs. Whether you want to choose a free VPN or a premium version, it all comes down to your personal needs and specifications. With this in mind, these are the ten best free VPN services you can find online along with the details you need to know to make the best decision. 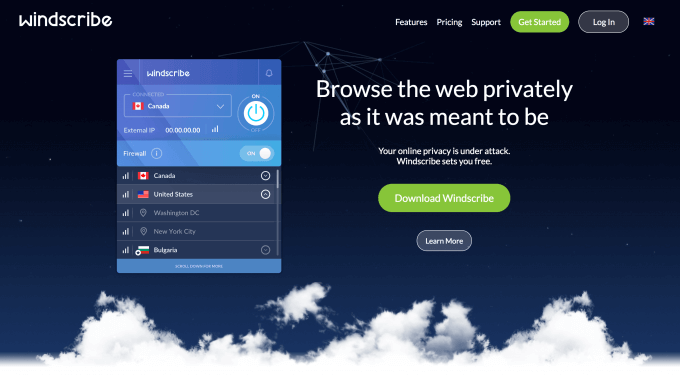 Windscribe is known as a premium VPN, but the free version of the service is also very useful to protect your privacy and security. The best part about this service is how P2P-friendly it is, and you don’t need to be a paid subscriber to take advantage of this tool. This platform performs core operations out of Canada and features many tools that advanced and beginners will find useful. Keep in mind however that this VPN only offers servers in select countries including the United States, Canada, Germany, Luxembourg, Hong Kong, and the Netherlands. The free plan offers over 10GB of monthly data. TunnelBear is an excellent selection for people that want a simple VPN to help protect their data when using public Wi-Fi networks. There are also other robust features like multi-login and platform compatibility that make this VPN a tremendous free choice. Tunnelbear is also a good choice if you want to experience the open internet and access video streaming services and websites in other countries. This is an excellent VPN choice for people that want to unlock geo-blocking features. It is easy to use and understand and allows users to access content websites without much hassle spent setting it up. This option is useful for users that want to access geo-blocked content without having to pay anything. Security Kiss is an excellent tool if you need to also take your cyber security efforts up to the next level. The VPN has dedicated, fast servers, although the free plan severely limits your download capacity and the speed might leave you wanting more. All in all, it’s not a wrong choice if you only plan on using the VPN for light internet browsing. The free plan is robust and offers users 300MB of data per day and 8.78GB monthly data. Not many servers to choose from. ZenMate is one of the best VPNs in the world. The free version of the VPN is also pretty great too with impressive features that beginning and advanced users will appreciate. You can use it to overcome geographical restrictions. It will also keep your online privacy protected too. Security encryption is only 126-bit. This free VPN works on a variety of different devices and platforms including Windows, Mac, Android, iOS, and Linux. The makers of Hide.Me VPN also stand behind the privacy of all of their customers and work to protect the anonymity of their users. The service operates mainly out of Malaysia, and the server location options are somewhat limited for free users. This free VPN prides itself on not keeping any logs whatsoever. This is excellent news for users that want to keep their activity completely anonymous. Also, SurfEasy offers a vast network of servers with a fleet of over 1,000 spread out across 28 different countries. The additional AdTracker Blocker is a great addition too since it will prevent digital advertisements from following you online. With Speedify you can access everything on the internet without any geo restrictions. If you want to stream a movie or TV show from a different country, you can, with blazing fast speed. Of all of the free VPNs on this list, Speedify is definitely the fastest one available. Another nice bonus is that it promotes advanced security features including 256-bit encryption. Servers are available in over 25 countries. 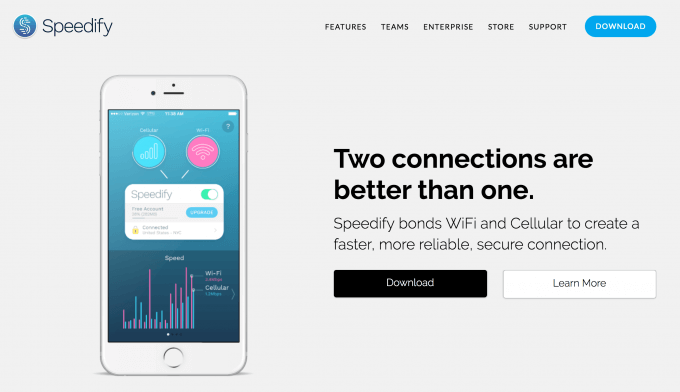 This free VPN offers users a generous 2GB of free bandwidth per month. Although this might seem small compared to the unlimited paid options, when it comes to free VPNs, this is quite a bit of data wiggle room. One downside of this service is that it only supports one device at a time, although there are workarounds to this. Only available on select devices and platforms. 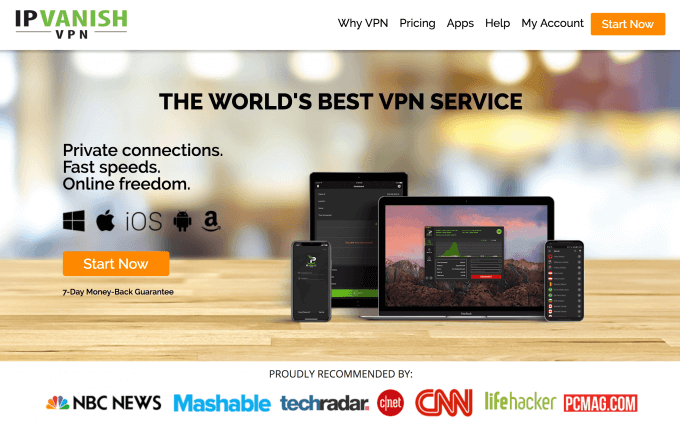 The final free VPN on our list is not 100% free, but rather a 30-day free trial of an excellent premium VPN service. 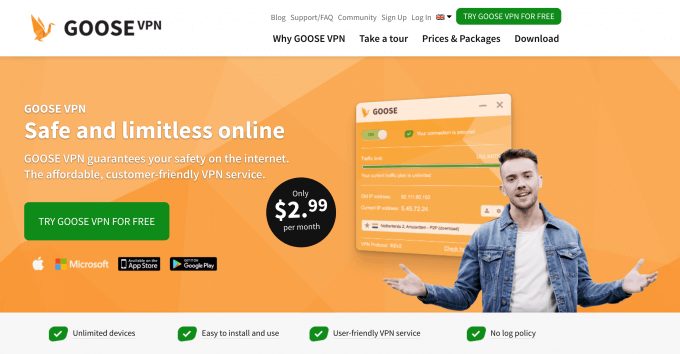 With GooseVPN you can keep your online privacy safe with an easy to use user interface and is 100% log-free meaning you can uphold maximum anonymity. No browser extensions are available. VPNs are great tools to improve the security of your network connection whether at home or out and about. Whether you decide to choose a premium or free VPN service, always make sure that you read all of the details to find the one that perfectly meets your needs. You really can’t go wrong with any of the VPNs mentioned above. Go ahead and give them a try! Did I miss anything? Welcome to the comment section below. This is the first time I hear about that massive fine in UAE for misusing a VPN, this is ridiculous… But I agree with everything that you wrote in the article – we have to secure our privacy as much as possible. I started using NordVPN because they offer double encryption and kill switch, they also are based in Panama which means they aren’t keeping any logs.